One of the reasons we run Online Marketing Simulations (Book, Kindle, Digital Download, Hire Me) is because we want to understand what I call "Ripple Effects". We're all familiar with Ripple Effects, right? Our economy collapsed based on the actions of a relatively small number of players, folks who did things that rippled through our economy, one domino at a time. You'll use Online Marketing Simulations to understand, for instance, how Cyber Monday discounts and promotions ripple through your customer ecosystem. Say you offered customers 15% off plus free shipping during Cyber Monday 2008. You now have one year of data to plug into your simulation. You'll get to see how customers who took advantage of this generous promotion behaved. Did these customers ever purchase full-price merchandise again? Did these customers ever pay for shipping and handling again? Did these customers ever purchase anything again? Did you convert full-price customers to discount hounds? Did you change the type of merchandise that the customer now prefers (i.e. low-price-point items)? You can simulate all of these things. You can plug in a smaller number of full-price buyers on Cyber Monday instead of a high number of promotional Cyber Monday buyers, and then see how this ripples through your business over the next five years. Pay close attention to the merchandise that sells in the future. Pay close attention to the discounts and promotions you'll have to give away in the future. 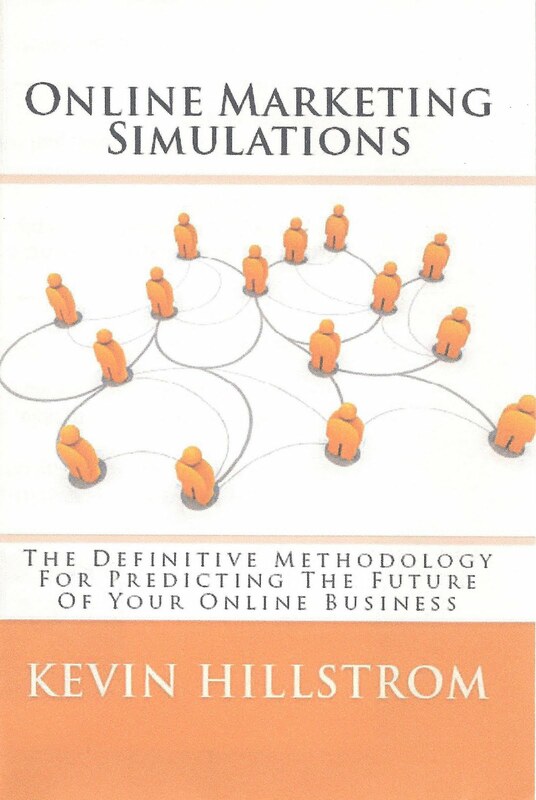 This is a great way to use an Online Marketing Simulation! A Special Cyber Monday Opportunity Just For You!!! Here's one for you, the loyal MineThatData reader, contact me now for more details. Are you interested in learning more about who shopped your website on Cyber Monday or Black Friday, whether they are new customers or lapsed customers or loyal customers? Do you want to learn whether those customers will ever shop your brand again on a day other than Cyber Monday or Black Friday? Do you want to know how the long-term value of a Cyber Monday or Black Friday shopper compares to any other customer? Do you want to learn more about the discount/promotional activity of Cyber Monday / Black Friday buyers, compared with buyers purchasing during the rest of the year? Yeah, I'd want to know that information, too, if I were running a business. And I doubt your Web Analytics solution will easily provide you with these answers. So here's a special promotion for you, the loyal MineThatData fan. You send me your purchase transactions (one row for every item the customer ever purchased). I will answer the questions listed above for the low fee of just $2,999. Now that's a Cyber Monday / Black Friday promotion you simply cannot refuse. It's Cyber Monday. You're in a promotional frame of mind. Why not learn if your decisions pay off in the long-term? Contact me now for details about the data you need to send to me!!!! During the past six weeks, I've been asked more questions about co-ops than any other topic in catalog marketing. You know what co-ops are, right? These are the companies that your marketing team sends the name and address of your best customers to. The co-op compiles the information, models it based on purchase habits across companies, then resells the information, at +/- $0.04 to $0.07 per name to your competitors. In kind, you get access to the names and addresses of customers who shop your competitors, for +/- $0.04 to $0.07 per name. Your marketing team felt like the co-op relationship was nothing short of "dreamy", back in 2004. They sent files with important purchase information about each customer to the co-ops, and then they got access to names at what seemed like an inexpensive cost. They funneled your campaign performance through tools like ChannelView. The tools suggested that paper drove business to all channels, preserving a historical business model (catalogs drive sales) that your staff felt comfortable with. A combination of "cheap names", matchback analytics like "ChannelView", and hosted database solutions meant that catalog marketing became "easy" for your marketing team. They no longer had to worry about updating a customer database (the second most important asset you have after merchandise), they no longer had to do the hard work associated with matching orders back to catalogs, and they no longer had to do the hard work of knowing which lists worked. In fact, they no longer had to know much of anything. Co-ops did all of the important stuff for them, even housefile modeling and merge/purge assistance. Co-op list performance was better than typical outside list performance, and housefile performance improved. Fast forward to 2009. The economy is in shambles. Customers are performing much worse than they performed in the past, and customer acquisition performance is even worse than housefile performance. Who is to blame for poor customer performance? Your marketing team might blame the co-ops, the very organizations they blessed with the keys to the business in the past decade. As business leaders, if we could go back to 2004 (or earlier), and re-think the concept of outsourcing customer acquisition, database analysis, merge/purge, housefile modeling, and database maintenance to other companies, would we have outsourced all of our intelligence to a third party? Would you allow this to happen with Google today? Heck no! We forfeited the intelligence associated with knowing which "lists" worked for the ease associated with having an algorithm that we don't understand choosing random names for us. We forfeited the intelligence associated with having to know how every part of our business performed when we do the hard work yourself, instead opting to have the co-op matchback tool do the work for us, even if it meant that the matchback tool grossly over-stated actual performance, causing us to seriously over-mail housefile customers. We forfeited the intelligence associated with managing our own database, instead opting to have the co-op do the work for us and then feed their database (which used to be our database) into their matchback algorithm (a conflict of interest). We forfeited the intelligence associated with our online customers, instead opting to have Google do the work for us, then having Google use our own information against us to help our competitors. If your marketing team walked into your office today and said they were going to do this, you would likely ask them what your business gets in return for a business intelligence bloodletting of this manner, right? And you'd be looking for an answer that was better than "... an annual cost savings of $439,000." The great tragedy of catalog marketing isn't rising postage costs or economic challenges or third-party opt-out services. No, the great tragedy is that we, as business leaders, outsourced all of our customer knowledge to the co-ops. And in return, we achieved marginal cost savings and a 10% increase in new customers. I'd rather have the consumer intelligence we used to have. Do you realize that, for many catalogers, 40% to 80% of the 36 month customer file is now comprised of co-op names? By default, our businesses succeed or fail largely because of the choices made by analysts at co-ops over the past four years. Does everybody in your business understand that? Does your CFO understand that? Does your Chief Merchandising Officer understand that? What do you know about the customers the co-ops selected for you? What are their preferences? Are these Baby Boomers, Gen-Xers, or youthful Gen-Y individuals? Do they prefer full-price merchandise, or are they only buying from you because they love the promotions they receive? Are they rural customers, suburban customers, or urban customers? Do they buy over the telephone because they need help with their purchase, or because they are afraid of the internet? Do they crave new merchandise from your brand, or do they continually buy the same merchandise, over and over? Are they evolving to online purchases, or will they stay loyal to purchases driven by catalog mailings? What is the right contact strategy for these customers? Can these customers support a reduction in catalog mailings, instead buying from e-mail campaigns? Do they respond to dense catalog offerings, or branding presentations? Do they see items in catalogs, then go online and buy other merchandise instead? Will they spend just as much on 48 pages as they will spend on 148 pages? When your marketing team outsourced the business intelligence you used to own, you lost the ability to answer many of these questions. Sure, you now know that customers in the "synergy model" respond to free shipping promotions. Now tell me what you do with that information? An Executive at a co-op recently told me that "... co-op employees aren't responsible for knowing your business, you are responsible for knowing your business, co-ops only provide you with cheap names." If you knew that fact five years ago, would you have allowed your marketing team to outsource all of the customer intelligence they used to own? Your marketing team will probably agree with you that it is time to truly understand customer behavior. Should your hosted database solution and matchback analytics strategy not provide you with what you are looking for, I am available to help you, right now ... contact me now for assistance. As always, I am here to help you through this transition. Welcome to this week's Executive meeting. Glenn Glieber (Owner): "... you know, there's really nothing like getting a standing ovation from an enthusiastic crowd, even if there are only 65 people in attendance. When you are acting, you have to channel your character. I really felt like I was Myles Standish!" Pepper Morgan (Chief Marketing Officer): "Kevin, welcome to our meeting." Kevin: "Thanks, Pepper. Where's Meredith?" Pepper Morgan: "She took today off." Roger Morgan: "Well, we have test results. And they are interesting." Pepper Morgan: "Overall, the current home page had an 8% conversion rate. Meredith's design had a 5% conversion rate." Lois Gladstone (Chief Financial Officer): "So the old design was clearly better. My goodness, how much money did this test cost us?" Pepper Morgan: "Well, there's a couple of interesting findings. Average Order Value for the existing home page was $125, while AOV for Meredith's strategy was $150. Therefore, dollars per visitor in the existing home page was $10.00, and was $7.50 for the new home page." Lois Gladstone: "How many visitors saw the new creative?" Lois Gladstone: "So we lost $50,000 demand, and maybe $15,000 profit, much less the cost to execute the test, because our merchandising leader wanted to test something, and because Kevin supported doing the test. We don't need to keep losing money, folks." Pepper Morgan: "Here's what is interesting, Lois. The customers in the loyalty program performed different than anybody else. For loyalty customers, conversion rate was 12% for the existing site, but was 18% for the new site. And AOV was $150 for the existing site, but $225 for the new site. In total, the existing home page generated $18.00 a visitor, while the new home page generated a whopping $40.50 per visitor." Lois Gladstone: "How is that possible?" Pepper Morgan: "Because new customers absolutely hated the new home page. They couldn't stand it. But it appears that our very best customers loved that we did something new, creative, and innovative. And I think that is what Meredith was leaning toward when she wanted to try this strategy. She felt that customers who love our merchandise are absolutely bored with what we do." Roger Morgan: "So maybe we could recognize visitors, based on prior purchase habits, serving up different home pages based on whether the customer is in the loyalty program or not?" Pepper Morgan: "And that solution would be far more profitable, based on these test results, than to do what we've always done. See, Meredith was right, and Roger was right. New visitors need a site that makes navigation easy. Our best customers want to be romanced. Just think about it. Is every single customer the same, or do different customers at different stages have different needs? Why do everything the same way?" Roger Morgan: "Because we don't have the technology to do this in-house. Our database and web infrastructure don't support executing a strategy like this." Pepper Morgan: "Kevin, what do you suggest?" Kevin: "There are many vendors who would be happy to help Roger with serving up different pages based on customer preferences. And I can easily segment customers into those who are best, those who are new, and those who have varying merchandise interests. I can feed those customers into any of many vendor platforms, and then the proper home page or landing page can be served to the customer. Over the course of a year, you'll be far more profitable doing this." Glenn Glieber: "Well, it's a good thing we had the courage to do this test! Ok, on to the rest of the meeting. Our next topic is about the temperature in the building. The employees think it is too cold, and they are right, because I asked Roger to turn the thermostat down to 62 degrees to save money. So I think we should raise the thermostat to 63 degrees, what do you think?" You asked me to help you understand what CEOs and Executives are looking for from the analyst community. Today, we're going to focus on profit. Always remember that Executives care about two things. And there are three reasons that Executives care about these two things. As long as Sales and Profit increase, they get to keep their job. If Sales and Profit increase consistently over time, under their watch, they get promoted. Executives usually have a bonus structure that pays if both Sales and Profit increase. And for most Executives, the bonus structure is very rewarding, and consequently, very motivating. So, in order for an Executive to truly be interested in what you have to offer, your analysis needs to be aligned with increasing Sales, and increasing Profit. Increasing both will perk up the ears of any Executive. Increasing just profit (in other words, recommending to decrease sales as a way to increase profit) is a very slippery slope that most Executives aren't interested in (though it can be exactly what a company needs). Now, it isn't hard to calculate the annual sales impact of what you are communicating. For instance, say you execute an online optimization test, and you find that you can increase conversion rates by 7%, increasing the rate from 5% to 5.35%. Say you have 3,000,000 annual visitors. And assume that the average order value is $100. Annual Sales Increase = 3,000,000 * (0.0535 - 0.0500) * $100 = $1,050,000. As an analyst, you're half-way there. Next, you need to convert the $1,050,000 to profit. To do this, go find a friend in your Finance department. In fact, set up a meeting with the CFO (Chief Financial Officer). Now this may surprise you. Of all the members of the Executive team, the CFO is most likely to take a meeting with you. Here's why. Your CFO knows where your business is headed (sales up/down, profit up/down). Your CFO might be dying to trim the advertising budget, your CFO might be dying to add money to the advertising budget to prop up sales, your CFO might be livid with the IT team for not implementing website improvements that could boost sales today. So if you have any information that could help the company increase sales or profit, your CFO wants to know about it. Now. Here's where you benefit. After you present your findings to the CFO, ask for help converting sales to profit. Ask the CFO to share with you the formula for converting sales to profit. At most companies, there is a percentage that Finance folks use to quickly convert sales to profit. This number is called the "flow-through rate" or the "profit factor". 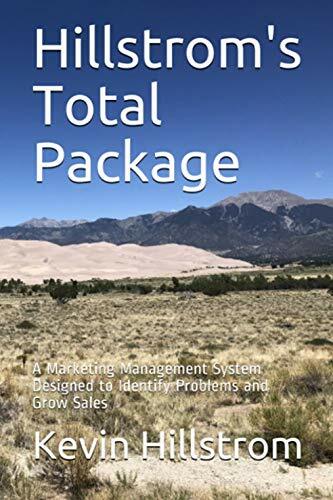 The metric represents the percentage of sales that convert to profit after backing out returns, unfulfilled items, cost of goods sold, marketing discounts, pick/pack/shipment of items, and call center / distribution center staffing costs. Across the businesses I work with, this percentage varies, usually between 10% (companies like Overstock.com that sell $500 items with a $425 cost of goods) to as much as 50% (companies that sell $500 items with a $200 cost of goods). Assume that the percentage is 30%. In our case, sales increased by $1,050,000. We multiply this number by 0.30, yielding an estimated amount of profit of $315,000. Is $315,000 a good number? Who knows? Now you have some "context". If you are working for this company, you just found a way to increase annual profit from $800,000 to $1,115,000. I promise you, that if you have found a way to increase company profitability by about 40%, your CFO is going to annoint you as The Savior to a vast audience of Executives. This is what is important, Dear Analysts. Do not communicate that your multivariate optimization testing strategy increased conversion rates by 7%. Do communicate that you found a way to tweak the website so that company profit increases by 40%. Which of those two sentences is more likely to resonate with your Executive team? Analysts seldom succeed on the merits of their work. Analysts have a good chance of succeeding when they communicate via the language of the Executive. The most important word in Executive parlance is "profit". Learn how to calculate "profit". Make friends with an Executive in Finance. Demonstrate to your Executive team, via "profit", that you have the keys to business success! Buy the book on Amazon.com, or buy the Kindle version here. Finally, e-mail me for a copy of a free OMS spreadsheet so that you can follow along with our examples. Ok folks, open up your spreadsheets. Take a look at the five year sales projection for this business. Enter "0" into cell B452. Enter "10,142" into cell B441. Enter "11,463" into cell B443. Year 1 = $75.8 million. Year 2 = $70.5 million. Year 3 = $67.1 million. Year 4 = $65.0 million. Year 5 = $63.9 million. This doesn't look like much of a difference, does it? Of course, we're only looking at changes to three of 240 different customer acquisition segments. Here's the point I want to make. Those of us in the Web Analytics and Online Marketing community do everything possible to improve conversions today. This creates inefficiencies in our business. Use the OMS framework to understand the customer acquisition strategies that improve the health of your business long-term. Think about being in this business five years from now ... having an extra million in demand might mean an additional $400,000 in profit, enough money to save five jobs. All of these little details add up over time. When we optimize our business for today, we potentially cost ourselves our job in the future. Just like that, the inevitable happened. JC Penney discontinued their "big book". A quick scan of the homepage of DMNews showed no link to the article, as of last Thursday. Multichannel Merchant did have a small link on their homepage, though the link was about 1/4 the size of the heading of a competing article titled "Harness The Power Of Employee Bloggers". Let that sink in for just a moment. JCP canning the venerable big book is less news worth than is harnessing the power of employee bloggers. Oh, sure, the multichannel pundits will spin this any of a number of ways. They'll tell you that this decision in no way impacts the vital importance of print marketing in the multichannel marketing arsenal. They'll remind you that Sears eliminated their big book in 1993, and their business struggled ever since. They'll cite metrics from research organizations that suggest something like 7 in 10 online purchases are influenced by offline marketing techniques, with print and radio leading the way. Neil Stern is quoted in the article as saying that "Penney had the name, infrastructure and broad product reach to become an instantly formidable player in what is essentially transforming retail in this century. The big book effectively helped them build that bridge." It took twenty years to build the bridge that allowed the big book era to end. The next question that must be asked is "How many years will it take for the targeted catalog mailer era to end?" Thanks to Google, direct marketing has become ruthlessly efficient. Waste kills the profit and loss statement. Now if you are marketing to a 68 year old woman in North Dakota, by all means, enjoy the myriad fruits of your catalog labor. But if you are marketing to customers under the age of 50, it is time to calculate that all-important metric called the "organic percentage". Take 10% of your twelve-month buyer file, and divide it into two segments. The first segment receives catalogs as they normally would, for the next six months. The second segment is not allowed to receive one single catalog. At the end of six months, compare the sales of the two groups. Group Mailed Catalogs = $50.00. Group Not Mailed Catalogs = $40.00. The "organic percentage" is calculated as $40.00 / $50.00 = 80%. Simply put, this is the most important metric you will ever calculate. In this example, catalogs only generated $10.00 of incremental volume ... the other $40.00 happen without catalog mailings, a full 80% of the total happening organically, independent of catalog mailings. Run a profit and loss statement on the $10.00 of incremental volume, not the $50.00 that your matchback vendor is telling you catalogs generated. You may not like what you see. This is the little secret that the catalog vendor community, and your co-op matchback vendor in particular, don't want you to know. They want you to keep renting names at $0.06 a pop, they want you to keep mailing catalogs, falsely attributing sales to print. A few weeks ago, I mentioned this methodology (test/control and organic percentage calculation) to a Catalog CMO. The Chief Marketing Officer told me that "... if what you are suggesting is so useful, why aren't the co-ops recommending this to us, after all, they are the thought leaders in our industry?" Good question. A really good question. Now that "The Big Book" era has ended, it is only a matter of time before targeted catalog mailings face the music. Granted, this evolution may take another twenty years. But in the meantime, there's billions of dollars of profit sitting out there, waiting to be picked up off the ground. I'm begging you. Execute the test mentioned earlier. Calculate your own "organic percentage". Run a profit and loss statement based on demand only attributed to catalogs. Find the audiences that no longer respond to catalog marketing, and stop mailing them. Then enjoy watching semi-truck trailers packed full of greenbacks pull up to your Finance department door. As always, I am here, ready to help you through this transition. Welcome to the Gliebers Dresses Executive Meeting. Glenn Glieber (Owner): "... it simply isn't a day that I thought I'd ever see." Roger Morgan (Chief Operations Officer): "I assume you've heard the news, Kevin?" Lois Gladstone (Chief Financial Officer): "Yes, I'm sure he heard about it. BT Nickels is discontinuing their twice-yearly big book catalog mailings." Pepper Morgan (Chief Marketing Officer): "I spoke with Janice Fosterberg at ResponseShop, our co-op and matchback vendor, and she said that they are making a HUGE mistake. She said that they ran several analyses on BT Nickels data, and it shows that those gigantic, 600 page catalogs are responsible for 10% of their retail sales and 80% of their e-commerce sales. She thinks they will absolutely regret the day they made this decision. And Ralph Throckmorten is their print rep, and he said they are going to lose a ton of paper discounts because of this decision. He said this will drive up the incremental cost of their other catalog activities, making them less profitable, causing them to trim circ. He doesn't like where this is headed." Roger Morgan: "I'll bet that ResponseShop regrets that they made this decision. At $0.06 per pop, they're losing millions of dollars." Pepper Morgan: "Well, they're going to continue to mail what they call 'skinny books', you know, 84 page catalogs with targeted merchandise to specific niche audiences within their catalog file. So I'm sure ResponseShop is going to continue to be lathered with $0.06 payments for some time to come." Meredith Thompson: "But what a sad day. I mean, this really is a sad day. Back in the late 70s, I relished ordering from the BT Nickels catalog. It came in the mail, and we just fought over who got to see the catalog first. And remember, they only put 20 lines on their order form, heck, that wasn't nearly enough space to order everything you wanted, so you had to attach another piece of paper with all of the other items you wanted to buy. Then you mailed in your order, and you had to mail it around October 1, because delivery took 4-6 weeks, remember? And sure enough, just before Thanksgiving, your order arrived. The whole process was magical. That big book was magical." Glenn Glieber: "And it is a sad day for all of those workers in British Columbia who will be denied the right to harvest a renewable resource because the big book is now gone. Where will they work now? I'm sure the folks at Catalog Select, the third-party opt-out service, are having lots of fun at the expense of catalogers, knowing all that paper has just been taken out of the mail system. Maybe they can provide jobs for all of the workers who are being slowly displaced by technology." Roger Morgan: "I ordered a computer chess game from BT Nickels back in the mid-80s. I played that computer chess game every day. You couldn't find it in stores anywhere, the only place you could find it was in that big book catalog." Lois Gladstone: "And now, you download a free app on your iPhone and you can play chess against a computer or against any one of a half-million iPhone chess enthusiasts worldwide." Glenn Glieber: "What is an, uh, what did you call it, an 'app'?" Lois Gladstone: "Yes, an app ... it is an application, a computer program that you wirelessly download onto your iPhone. In the old days, you'd buy a computer game at Best Buy for $24.95. Now you buy an app for $1.99." Roger Morgan: "And many of the apps are free. For some retailers, those apps are like free marketing." Pepper Morgan: "And that's the punchline, isn't it? Why send 600 pages at a cost of $7.50 per catalog to a customer when the customer holds the entire world in her hands on an iPhone?" Glenn Glieber: "Are we doing any of these app things, Pepper?" Roger Morgan: "Oh, not yet, Glenn. Pepper put apps for the iPhone and Droid platform on the book of work, but we're buried right now with a Holiday season information technology lock-down. There's no way we can work on that stuff right now, we simply cannot interfere with computer systems that are taking Holiday orders." Glenn Glieber: "What's a droid?" Roger Morgan: "That is Google's cell phone platform, they are competing against the iPhone." Glenn Glieber: "And Pepper, you were thinking of doing droid marketing too? Is that free?" Pepper Morgan: "Our iPhone and Droid and Blackberry apps would all be free." Glenn Glieber: "And the customer could thumb through a digital pdf or something like that on their droid? I mean, could we have a 600 page big book in pdf format for the customer to thumb through on her i-droid? And then maybe we could make it available on the Kindle too, heck, we could charge customers $0.99 for a 600 page big book in pdf format." Pepper Morgan: "Well, we'd prefer that the customer visits a mobile version of our website." Glenn Glieber: "But we already have a catalog, and the catalog drives customers to our website, so why does the customer need to use a free droid to go to a special version of our website? I mean, I like the cost structure of the whole thing, but that's not how people shop, is it? Haven't we been taught that customers use paper to place online orders?" Lois Gladstone: "It's how some people shop." Glenn Glieber: "Are you telling me that more people would shop via these free droids than would shop a big book like BT Nickels used to send?" Meredith Thompson: "Absolutely not. I'm sure a half-million or a million customers would still buy from a big book. Apps haven't broken through for retailers yet. And that's the problem with all of this marketing hype. A million customers will order from a big book, but everybody declares it to be dead because it is too expensive. 20,000 people order from an app, but that's all you ever hear about, the 20,000 cool people who order via mobile marketing." Roger Morgan: "But that's the thing. A big book from BT Nickels cost $7.50 to put in the mail. One of our 124 page catalogs costs $0.75 to send to a customer. An iPhone app costs us essentially nothing, outside of staffing and development costs." Glenn Glieber: "I get the big book. It's the whole assortment, sitting on your coffee table. And I get our catalogs, because they are targeted with razor-like precision to customers who love dresses. But this i-droid app, that doesn't make any sense to me. Are you saying that a customer holds a phone in her hand and buys dresses from us?" Lois Gladstone: "And listens to music." Roger Morgan: "And tweets to her friends." Lois Gladstone: "And reads news headlines." Meredith Thompson: "And uses Google Earth to take a magical trip to the Palouse." Lois Gladstone: "And gets urgent weather messages from the National Weather Service." Roger Morgan: "And reads books." Lois Gladstone: "And does online banking." Roger Morgan: "And watches NFL Thursday night games on it." Pepper Morgan: "I'm saying that next spring, we will launch a mobile shopping website with free apps for all lines of smartphones." Glenn Glieber: "Smartphones! I remember when we had party lines back in the 1970s. My daughter would be speaking with her boyfriend, and then she'd freak out because old man Barnaby from three houses down the road was listening to her conversation." Roger Morgan: "Have you noticed, folks, that the cell phone carriers have all raised their data plans to something like $129 a month for two people. I mean, what's up with that? Everything else is getting cheaper, but if I want to download a bunch of free apps I have to pay $129 a month, every month? And then you look at Sonora's text messages. Do you realize that she sent and received 2,084 text messages last month? Mercy!" Pepper Morgan: "Roger, the average kid sends and receives 2,200 text messages a month. 2,048 is actually well below average." Glenn Glieber: "Do we send out free text messages to our customers?" Meredith Thompson: "I just think we keep losing something as technology takes us in a digital direction. That 600 page BT Nickels catalog sat on the table for four months. Then our 124 page catalogs sat on the table for four weeks. Then an e-mail marketing campaign sat in my in-box for four hours. And now the customer will research our mobile website for what, maybe four minutes? Honestly, we're running out of time to romance a customer, aren't we?" Kevin: "Here's something for all of you to consider. What is your marketing strategy? Honestly, what is your strategy for communicating with and engaging customers? You're doing all of the things that the multichannel experts tell you to do, catalogs, e-mail marketing, search, affiliates, social media, banner ads, mobile marketing, you name it, you are willing to dip a toe in it. I think it is great that you are thinking of doing something with mobile marketing. But what is your strategy? Could anybody in this room offer me a one-paragraph description of your multichannel marketing vision for the next five years? Could you tell me which channels will be emphasized, which channels will be de-emphasized, which channels have mass-audience appeal, and which channels are destined for niche audiences? BT Nickels is clearly telling you what they think the future of print is. There's no reason Gliebers Dresses cannot have a vision for how each of your marketing channels are forecast to evolve, and then you market to the projected evolution of each channel." Meredith Thompson: "I think that's easy. We're being 'multichannel' because the best customers are multichannel customers, and we want to be everywhere the customer is. So if she is walking down the street and sees an Ann Taylor Loft store and decides she wants a dress and then thinks, 'oh goodness, maybe Gliebers Dresses has something like that', she can just punch up her iPhone app, and bingo, we just took a sale away from Ann Taylor Loft. It's really that competitive, I think, at least for 20,000 tech fanatics using apps." Kevin: "That's your imagination, and imagination is really good. But imagination is not a strategy. How many of you shop with your iPhones when you are spending a weekend in Boston? Seriously, how many of you do that? Or how many of your friends do it? Just because a tech blogger says this is the future doesn't mean it is the future ... unless, of course, you do something so innovative with the channel that you literally create the future. That seems to be what is completely missing from multichannel marketing. Everybody is doing something because you are supposed to do something, same items and same prices and same imagery and same promotions in all channels, so that the best customer gets pummeled with the same message 97 times in eight different channels. Who said that is a good customer experience? Vendors selling multichannel solutions? Having a website that store customers can buy from and vice-versa isn't a genuine strategy, it's a tactic. Why not be the first to have a strategy? Outline, for each channel, what the purpose of the channel is, who the unique customers are who are served by that channel. Clearly state how you plan on using each channel in a way that is congruent with other channels. Clearly state how you plan on using each channel in a way that is completely different from every other channel. Clearly state how you will use each channel is a way that is different from the way your competitors use channels. Clearly state how customers, not marketers and vendors, benefit from all of these channels. Clearly state what defines 'success' in a channel, and what must happen for you to decide to shut down a channel. That's what BT Nickel had to have done with their big books. Prioritize every channel, because they sure aren't all equal in stature. Communicate your strategy to every employee. I dare any cataloger to provide a document that has this level of thought in it. You can lead the pack. Do it!!" Glenn Glieber: "That sounds like a fascinating project, Pepper, why don't you tackle that one? And be sure to be clear about where we are going with droids and stuff like that. Have something on my desk by the end of day tomorrow. Ok, great meeting! And we'll certainly miss the BT Nickels big book, won't we?" Yesterday, I mentioned to folks on Twitter that I used three different analytics tools to measure the same thing. I was trying to quantify how many people viewed a page. Tool #1 Counted 15 "hits". Tool #2 Counted 10 "hits". Tool #3 Counted 9 "hits". I offered the comment "... how do we trust information when three tools give us different answers?" I also mentioned that CEOs don't like different answers from different sources, they like for information to tie out. It was the latter comment that frustrated a few analysts. Last week, we talked about the gulf between analysts and executives, in fact, this was one of the most popular posts written this year. But as Mr. Peterson would say, people like to grumble about things, but it is much harder to do something about it. So let's start doing something about it! Let's review a series of topics about analytics that frustrate business leaders, and discuss what we can do to bridge the gap a bit. Executive Pet Peeve #1 = Numbers That Don't Tie Out: Always remember that business leaders get reporting from sources that are reasonably "iron-clad". The CFO says that net sales were $22,000,000 in October and profit was $1,500,000. The Chief Merchant says that she sold exactly 2,493 units of an item. All day long, the business leader is dealing with numbers that "tie-out", they match metrics found in other sources. Then here comes you, the web analytics expert, sharing that your reporting says that net sales were $19,000,000 in October, because your web analytics software package doesn't capture all sales. Granted, your did some spectacular work, and found many interesting customer trends in your analysis. But as soon as you leave the boardroom, your CEO will look at your CFO and say "... Ralph's numbers don't tie out with our order entry system or with finance numbers, how can that be? Can we trust Ralph's analysis?" You already know that Alexa and Quantcast yield different outcomes, and you already know that Coremetrics and Google Analytics yield different outcomes. You can explain the differences, you are comfortable with the differences. But your executive team does not have to deal with this level of uncertainty with, say, merchandise reporting (though honestly, other sources don't tie out either, they just won't share that fact with you). Solution: Know the biases in your data, and willingly share them before people start to question the data. Maybe your web analytics solution misses 15% of sales. Match this information with your order entry system (or have a tech person do this for you), and understand where the sales that don't tie out come from. Then tell a story that matches the worldview of your executive team. For instance, if you are missing sales, it is fine to confess that fact, saying "Well, we've thoroughly audited this problem, and it turns out that our analysis is disproportionately focused on our best customers, and as you know, one of the three biggest initiatives for 2009 is to get more sales out of best customers, so the data I am presenting supports a big company initiative." Also, take all references to any triangulation you did out of the spotlight. In other words, if you are analyzing data from different sources, clearly state in your documentation/appendix that you did that, and clearly state what the biases are. But you are the expert, so sell your story to your leadership team, earn their trust by being confident that directionally, you are recommending a great strategy. And then, be right! If your conclusions are consistently right, executives will stop asking questions about data integrity! Executive Pet Peeve #2 = Misaligned Objectives: Your executive team isn't going to tell you all of the things they are focusing on. It is possible that they are being pressured by the credit division to increase credit utilization or the credit division will have to sell the portfolio, so the executive team asks you to analyze conversion rates among proprietary credit card holders on your site. They simply don't give you any background about the request, other than to produce a report for them. And you do a great job on the analysis, showing that credit card holders are converting less and less often (maybe because they've maxed-out their credit limit). This answer may not be aligned with what the executive team needed to hear --- they gave you a task and were hoping for one outcome, you provide them with another outcome. And then, you try to complement your analysis with a recommendation to drive non-proprietary credit traffic via paid search, in an effort to optimize conversion rate. Your recommendation, while spot-on, is not what the executive wants to hear. And as a result, the executive is going to do one of three things ... the executive is going to have you go on a fishing expedition to find one metric that meets her needs (a very frustrating process, if you are an analyst), or the executive will tell you that something is wrong with your analysis, or the executive will politely thank you for your work, without telling you that you failed to meet her expectations. Solution: Ask questions when you are assigned a project. Ask the executive if there are any land mines to look out for. Ask the executive to provide you with any background information that can help you provide a better analysis. Ask the executive what the "expected outcome" of the analysis is. Ask the executive how the executive will judge if you did a good job? Ask the executive if there is an "extra credit opportunity" ... in other words, are there follow-up analyses and projects that you could do that would even better compliment the work? After doing this a few times, you will get a feel for what your executive sponsor is "really" looking for, and you'll do a much better job of completing future projects. The responsibility for ferreting out information is on you, dear analyst, because executives are not going to ever volunteer enough information to inform your work ... in fact, in some cases, they simply cannot tell you the real reason for an analysis (i.e. they need numbers to determine if 5% or 10% of the workforce will be let go next month). Executive Pet Peeve #3 = Loyalty. I once had an employee who sent me an e-mail, suggesting that I purchase a service from a vendor. At the end of the e-mail message, the employee quoted a vendor tagline. I later learned that the employee brought in a vendor for an informal visit, listened to the sales pitch, and then was recommending the vendor to me. I knew that the employee was loyal to the vendor, and not to me. I was an executive at Nordstrom, and without a doubt, I expected my analytics employees to be more loyal to me than to vendors that were pitching products and solutions to them. I expected my employees to be loyal to me, to my department, to my company, and most of all, loyal to the "voice of the customer", communicated via solid analytical rigor. Solution: Your company might truly need a product or solution from a vendor. Your job, as an analyst, is to provide the business case for the product/solution. How would the product or solution or analysis help the executive? Not surprisingly, executives are looking for solutions that allow them to keep their job. I mean, take a look at many executives, they go from company to company, being hired and fired every few years. Most business leaders want to keep their job, and are under a lot of pressure to do so. So make it easy for them. Any analysis, product, or solution that makes it easier for a business leader to keep her job and to look good among executive peers is an analysis, product, or solution that is going to be used. You can be totally honest, offering all of your own unique ideas and solutions in any work you do. But first, demonstrate to the executive that you are there to help the executive, then provide facts/analytics that support the business leader, and then in an appendix, go ahead and share all of your own ideas. If the executive knows you are loyal to the executive, then you are likely to be called upon more often. This doesn't mean you are "sucking-up" to the executive. Nope, it means quite the opposite. It means you are respecting the needs of the company, still offering your point of view in an appendix. Eventually, most executives will trust you, and when that happens, look out! They won't question you as much, they will listen to your recommendations, and they will support you publicly with other business leaders. At that point, you are in a position to enact change! Executive Pet Peeve #4 = Errors. An executive wants every number to be accurate. Any error, even if it isn't your fault, becomes your fault if you present it incorrectly as part of a project for an executive. Executives demand accurate information. Solution: Audit every single piece of work you do. Demonstrate somewhere (an appendix) that your numbers tie out to another source. Ask somebody else to look over your work. Executive Pet Peeve #5 = Agenda. An executive wants a loyal employee. But sometimes, loyal employees (I've done this) develop an "agenda". And if the agenda is not congruent with the executive, look out. Maybe you want to do multivariate testing on the home page, but the executive you work for is having a battle with another executive in another department, and wants to "be right". In this case, even though you are doing the right thing (by wanting to execute a multivariate test), you might appear to have an agenda (i.e. prioritizing testing over the executive). And once you appear to have an agenda, you are banished to the island of misfit toys. You'll see this happen all of the time when a new executive takes a job --- the new executive has a vision for what she wants to accomplish, and if your agenda is not aligned with the new executive, it doesn't matter how good of a job you do, you're going to be banished to the island of misfit toys. Solution: Know your corporate culture! This sounds like bad advice, but it is important. For instance, your culture may support testing, but may not be receptive to the findings derived from tests. In that case, test like crazy, and gain as much knowledge as possible, so that you will have the facts when a business leader is ready to accept them. If you do have an agenda that is not congruent with your business leader, consider implementing your agenda on different projects with different business leaders, if your executive is supportive of that. Or, consider working for a different executive altogether (or a different company), if your agenda is different from that of leadership. Ok, there's a few issues and solutions for you to consider. It's been my experience that business leaders are not going to volunteer a lot of information, and sometimes do not want to hear some of the things you are talking about. They are probably not going to meet you half-way, so why not try to find out what they need? Now, it's time for you. What wasn't addressed here that should be addressed in a subsequent post? Leave your ideas in the comments section of this post, thanks. If you are like me, you've read a lot of content about customer loyalty. If you are able to analyze actual customer transactions, you quickly learn that the most important time in a customer relationship is the three months following a first purchase. When I run a life table analysis, I'll frequently observe that something like 40% of customers will ever purchase again --- and within the first three months, half of the 40% place their subsequent order. My simulations strongly suggest that the two levers that really propel a business into the future are customer acquisition and first-time to second-time buyer conversion. So focus on this important time in a customer relationship --- manage the tactics you love to employ (free shipping, discounts, promotions, all of that stuff), and add a customer service strategy (i.e. actually ask the customer if everything went well during the first order, ask the customer if she needs anything else). Treat this early timeframe with urgency! 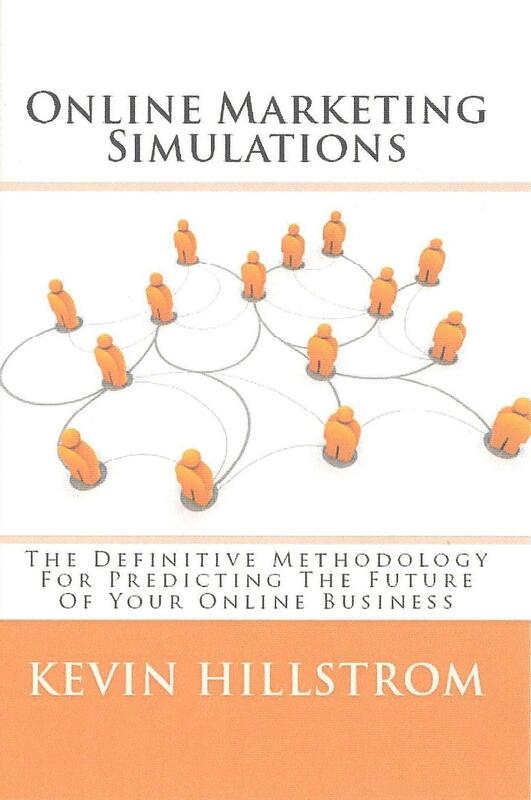 There's no reason that an Online Marketing Simulation (buy the book at Amazon.com or buy the Kindle version of the book) has to focus only on e-commerce purchase attributes. Customer subscribes to e-mail campaigns. Customer unsubscribes to e-mail campaigns. Most recent e-mail campaign click-through date. Customer only buys via free shipping. Customer frequently abandons shopping cart. Customer never abandons shopping cart. Customer spends more than 15 minutes on your site. Customer spends less than 15 seconds on your site. Customer likes visiting clearance/sale pages/products. Customer actually read your privacy statement (hint, pay attention to this). Customer participated in live chat. Customer clicked on Facebook or Twitter icon. Customer generated a review of one of your products. Customer gave you contact information in an offline channel. Customer who clicked on "contact us" link. Customer watched one or more of your videos. Customer is a proprietary credit customer. Customer buys gift cards for others. Customer clicked on your "careers" link. Customer clicks on your store locator link. Customer adds items to a "wish list". Customer clicks on your "Espanol" link. Customer returns more than 2/3 of merchandise purchased and has purchased 3+ times (hint, stop marketing to this customer). Customer purchased an extended warranty. Customer asks to have product automatically sent to her on a monthly basis. Customer clicks on Top Sellers. Customer clicks on a toolbar to share products via social media. Customer clicks on "read reviews". Customer abandons items rated at two or fewer stars on a 1-5 scale. Customer uses site search function. And on and on and on the list goes! Take this information, and categorize the customer into one of forty segments, based on all of the information in the list. Combine the forty segments by five "grades" of productivity (A, B, C, D, F), and you have the perfect setup for an Online Marketing Simulation! I am hearing the whispers ... "if this Holiday season isn't considerably better than last year, we're going to have to evaluate the viability of our brand." Owners and CEOs frequently ask me to do a quick sales forecast for the next five years. A file is sent to me (CD/DVD in the mail or a file is posted on an ftp site) with various customer attributes, one row for every item a customer has ever purchased. The columns include things like household_id, order date, item number, merchandise division, quantity, price, demand, disposition (returned, item not shipped, etc. ), payment tender, physical channel (phone, mail, web), advertising channel (e-mail, affiliate, search, catalog). At this point, the Owner / CEO will ask me what would happen if the economy improved by 10%. I run a simulated forecast, assuming that the economy improves significantly. We run different scenarios, based on different sets of assumptions. "What happens if we cut customer acquisition spend?" "What happens if we reduce spend on existing customers?" "What happens if we shift offline ad spend online?" "What happens if we eliminate eight pages in every catalog?" "What happens if we improve homepage conversion by ten percent?" Based on the assumptions, we iterate toward what we perceive to be a fair "valuation" of the business, based on sales potential and profitability. CEOs and Owners: You can use the Multichannel Forensics framework to understand what your catalog business might be worth. Ask your analytics team to follow the framework, generating forecasts for you. I can easily produce the forecasts for you as well, e-mail me for details. You'll have to admit, having this information is pretty darn important, especially if this Holiday season doesn't turn out as optimistic as one might hope. Folks on Twitter asked me to write a brief about "Ad Curves", a methodology I use to estimate what happens to sales when, say, the e-mail contact frequency is doubled, or catalog pages are cut in half, or the paid search budget is increased by 50%. If you're interested, and I know you are interested, please download the brief here. Hint: If you combine Online Marketing Simulations with Ad Curves, you can identify the optimal, most profitable advertising investment strategy over the next five years, optimizing long-term performance instead of optimizing conversion rates. Executives really like the outcomes outlined by these tools/techniques! If you are an analytics expert, and only have time to read one long blog post this year (i.e. an article longer than 140 characters), read this article from Joseph Carrabis. Jim Novo tweeted the article yesterday, thanks for pointing it out. The article helps illustrate a huge gulf between Analytics experts and Executives, one that is about as big as the Gulf of Mexico. Let's go back to 1994. I was Manager of Analytical Services (what would now be called 'Business Intelligence', to use the parlance of the day) at Lands' End. And I had just analyzed the results of a year long 2^7 factorial design (called MVT, or 'Multivariate Testing', to use the web analytics parlance of the day). The results of the test were, to say the least, controversial. Receive Catalogs From This Division: Total Business = $900,000,000, $8,000,000 profit. No Catalogs From This Division: Total Business = $885,000,000, $8,300,000 profit. Incremental Difference: $15,000,000 Demand, ($300,000) profit. In other words, when you stop mailing catalogs from this division, customers re-allocated their demand to other catalogs. A $40,000,000 business unit that generated $2,000,000 profit was, in reality, a $15,000,000 business that was losing $300,000 profit. The results were statistically significant, meaning that if we rolled out a strategy where we shut down this division of the company, we'd make the right decision at least 95 times in 100. My job was to present my findings (there were similar findings for other business units) to the VP team that led each of the business units involved in the test. The results were from a perfectly executed test with statistically significant findings that no Analyst, I repeat, NO ANALYST, would question. Any Analyst would ask how quickly the new strategy could be implemented. I stood in front of the team of Executives, including our CEO. I shared the results. Let's just say that the audience didn't respond with enthusiasm. Imagine being an Executive, earning $175,000 a year, having some dweeby, geeky, inexperienced, dolt-like wing-nut pimple of an employee pull out 85 powerpoint slides generated from the results of a 2^7 factorial design that suggests the Executive should shut down his division, now. Do you think the Executive will embrace the findings? Do you think the Executive will say, "Ok, that sounds great. I'll just lay off 155 employees and wrap things up before Christmas, and I'm sure I'll get another job in another city after pulling my kids out of the school they love, because your results are absolutely self-evident?" Or do you think the Executive will fight tooth and nail for his/her job, and the jobs of the people s/he leads? Hint: The Executive will do the latter. And so would you. What is completely missing from our real-time, web analytics, business intelligence, on demand, multi-channel integrated world of data is leadership. Leadership doesn't lie about or create false expectations about the power of web analytics or business intelligence. You're not going to triple your conversion rate by switching from Omniture to Coremetrics. You're not going to increase comp store sales by 5% by implementing Business Objects, MicroStrategy, SPSS, or SAS. Leadership will clearly communicate what the data is, and what it means. Leadership makes connections between Executives and Analysts. An Executive is far more likely to trust an Analyst if the Executive has worked with the Analyst, and realizes that the Analyst is actually representing "The Voice of the Customer". It is the job of the Analyst to convert geeky, dweeby, nerdy findings into a "story" that resonates with the Executive. The Analyst cannot do this unless the Analyst has been in meetings with the Executive, knows how the Executive thinks, and knows what the Executive needs to be successful. You don't ever set up an Analyst to fail by throwing the Analyst in with the wolves. You create a safe environment, so that the Analyst can share findings without having to duck a flurry of fists. Leadership teaches, constantly. It is never about being "right". Too often, the Analyst has data that appears to be compelling. The leader teaches context, always trying to illustrate that the Analyst is there to support a greater mission, and by doing so, the Analyst will benefit. I'd rather have an Analyst with a Bachelor of Science degree providing solid findings in a team environment than a Doctorate employee demanding that the company implement highly sophisticated findings immediately, regardless of the repurcussions. Leadership translates information into English, or the language used in the country where you work. In other words, you remove the geek-speak, the web analytics parlance or the business intelligence parlance or the statistical mumbo-jumbo that you use when talking with Analytics experts. Nobody cares that a landing page conversion rate will outperform another landing page, based on a test of 22,948 visitors with a T-score of 2.07. Every Executive cares that the test suggests that annual sales will increase by $394,000 if a certain strategy is employed, and that the Executive will make the right decision 95 times in 100. What is missing today is Leadership. It is missing from the Vendor community, it is missing all across Executive teams that lead Corporate America, and it is sorely missing from conference agendas. We need fewer "three easy steps to Twitter success" lectures. We need more "how to communicate with an Executive in order to be effective" lectures. If you are an Analyst, find one person, any person, in your company who appears to make magic happen through people, by working well with others. Ask to adhere yourself to this person for three months, so that you can see how this person does her job. Then emulate this person. Your company is not going to do this for you, you must take the initiative yourself. If you are an Executive, invite an Analyst to a meeting as an observer. Have the Analyst sit in the back of the room, and don't let the Analyst speak unless spoken to. Let the Analyst hear real business issues, and let the Analyst listen to the interactions that happen as decisions are actually made. There's no more valuable thing for an Analyst than to see how things actually work, so that the Analyst can calibrate work in a way that makes the Analyst more effective. Analysts and Executives. Leadership is the glue that could actually join these two audiences in a mutually beneficial relationship. Glenn Glieber (Owner): "... so I will be performing at 2:30pm and 7:30pm at the community theater. Look for me, I'll be playing the role of Myles Standish!" Roger Morgan (Chief Operations Officer): "Today, we're going to talk about home page design." Meredith Thompson: "Well, I want to talk about home page design. What we do at Gliebers Dresses is just so awful. It's not aspirational. If I'm a customer, I want to be romanced." Roger Morgan: "What is awful about our website?" Pepper Morgan (Chief Marketing Officer): "Describe what you want to see, Meredith." Meredith Thompson: "Gladly. Here, let me draw this up on the grease board. I'm imagining a white, blank screen. A store front gets bigger and bigger, as if you are approaching it, a building with the words 'Gliebers Dresses' listed above doors that are opening. You walk through the doors, and music begins to play, maybe Madonna's 'Frozen' or something hip like that. Models begin to walk by, absolutely beautiful women of all sizes, all wearing our dresses, striding past. Now you're presented with rounders, with tags on top of the rounders telling the departments that the merchandise represent. I mean, just imagine seeing this, and then look at our website, which is a lot more like Newegg." Roger Morgan: "Meredith, what you described violates just about every e-commerce best practice out there. The customer has something like two seconds to be impressed, and if she's not impresses, she's on her way to the next website. Neptune Research did a study and said you have to have at least one hundred links on the home page, or the customer won't convert at an optimal rate." Lois Gladstone (Chief Financial Officer): "How much would something like that cost?" Roger Morgan: "Well, first of all, we'd have to put the project on the book of work and prioritize is appropriately. Second of all, I don't think cost is the concern, I think conversion is a concern. How the heck does the customer find what she wants when fake women are walking past her on a computer screen?" Meredith Thompson: "Roger, that's why I am a merchant and that's why you code websites. You're a tech person, you don't know anything about aspirational retail. If it were up to you, you'd have a home page with 820 links coded in Microsoft Frontpage. My job is to lead the customer. You cannot lead the customer with hyperlinks and thumbnail images. Nobody, I repeat nobody, likes to shop that way." Roger Morgan: "And yet, Woodside Research tells us that the best performing home pages are the ugliest home pages." Meredith Thompson: "That's because a bunch of tech folks do everything. At almost all companies, it's impossible for the merchant to sell product because the tech folks impose their will. Maybe if merchants could do what they wanted to do, merchandise would fly off the shelves. I mean, this is garbage. Modern e-commerce is all about merchants providing great product, only to have the IT department stifle all innovation. Pepper, help me out here." Pepper Morgan: "Why don't we just test Meredith's hypothesis? There are dozens of companies that allow you to easily test different pages or offers, let's just plug in one of those services, and see what works best?" Meredith Thompson: "Never. You lead the customer, you don't test and iterate. Testing is for cowards." Roger Morgan: "No! I've paid thousands of dollars for research reports over the years, and those research reports tell us what the best practices are. 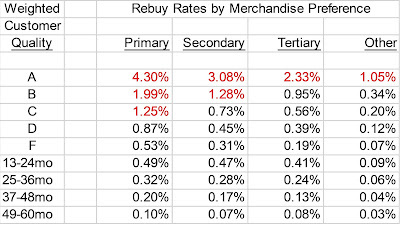 Why ruin conversion rates just to test the ideas of a merchant?" Pepper Morgan: "Roger, you believe in best practices, don't you? Well, when you're testing different strategies, you are employing best practices, right?" Roger Morgan: "I think best practices are in place so that you don't have to test, somebody else did the work for you, and you get to benefit from their experience. Lois has to be happy with that, because we save money that way." Pepper Morgan: "And Meredith, I think it is reasonable to test your strategy. If it works, you are brilliant. If it doesn't work, then maybe you can appreciate all of the efforts of all employees who are trying to help you sell your merchandise." Meredith Thompson: "No, no testing. We need to have courage, to take a stand. Do you think I test my products? It is clearly NOT a best practice to test the merchandise that works best, you take your shots and you believe in your skills and you lead the customer. Testing is for cowards, for people who have no confidence or skill." Kevin: "When a business is generating ten percent pre-tax profit, these discussions don't happen." Meredith Thompson: "What do you mean?" Kevin: "Businesses that are winning tend to have a climate of trust." Roger Morgan: "Are you saying we don't trust each other?" Kevin: "I think you support each other. This whole discussion went sideways because Meredith doesn't trust the creative team, because Roger doesn't trust that merchandising might have ideas that fall within his area of expertise, and because Meredith and Roger don't trust Pepper to do what all marketers do, that being testing of strategies, because the tests might expose faulty strategies that Meredith and Roger are accountable for. In an environment of trust, Roger and Pepper would be happy to test Meredith's strategy, and Meredith would be happy to do a test, not a rollout." Glenn Glieber: "Kevin, aren't we paying you to help us improve our profitability? All you did was throw stones at our business leaders." Kevin: "Ok, allow me to say this differently. Testing is a best practice in marketing. Therefore, I think it is wise to test Meredith's strategy, and if her strategy works, go with it. If her strategy doesn't work, then go with what you are currently doing." Glenn Glieber: "Fine, we'll test the strategy. Pepper, hire a vendor to help us implement the test. Meredith, work with Pepper on your idea of what the new home page looks like. And let's get this test done soon, I want to be able to impact 2010 if we can. Now, on to the next topic. I have two free tickets to my performance as Myles Standish, who wants them?"